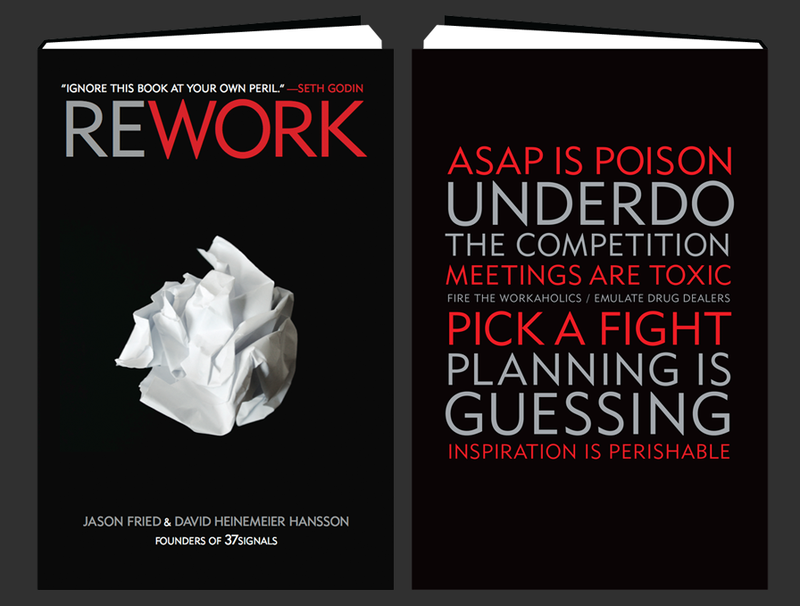 I am loving rework by 37signals. If you are a creative worker, ceo, or anyone in this digital space, there is a lot to take into consideration from this book. It puts your life into perfect perspective. Teaching us that it’s not all about an amazing office space to work in and not to hide behind mumbo jumbo buzz words. Tell it like it is and you will go far.